Colorful and sunny house, just meters from the sea. 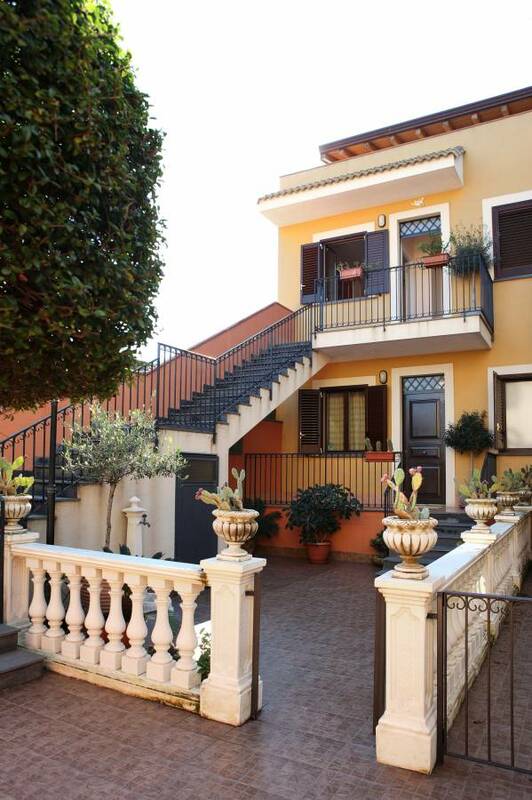 This holiday home is located in the friendly village Stazzo. The sea and the promenade are less than 200 meters away. 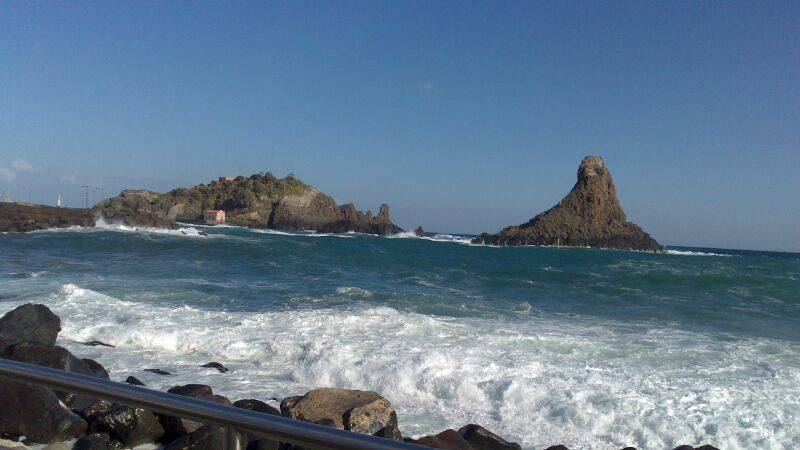 Perfect for enjoying the sea and sun of Sicily. Very good, even for families with small children. Stazzo it's a little village pretty close to Acireale, where you can find a railway station or bus station from where to get mostly any place all around Italy and Sicily. Because in the middle of the east cost of Sicily the the apartment is pretty close to mostly the main city, the farest one is Palermo 3, 5 hours by car, in the other coast of the island, but in less than an hour you may find: Taormina and Catania; 1, 5 hour Siracura, Ragusa and Noto. 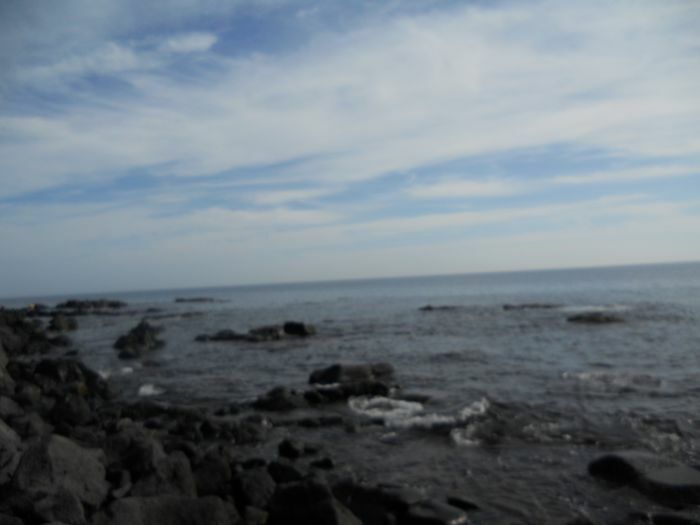 Beach and montain (the active volcano, Etna, is 50 minutes far by car) are close and I really suggest you to visit. 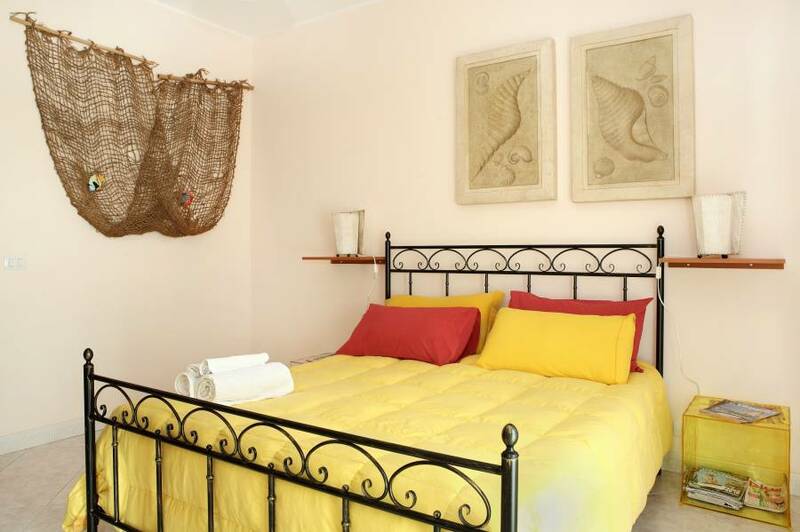 The holiday homes are situated just a few steps from Stazzo, a small seaside tourist resort in the district of Acireale (Catania), only twenty minutes drive from the beautiful beaches of Taormina and the mountain resorts of Etna. The beaches of Taormina lie beneath a rocky plateau near Taormina's old city, in the district of Taormina Mare. The beaches of Taormina are dispersed among several bays. The most famous beach in Taormina is the legendary beach of Isola Bella (the beautiful island). This fantastic beach is located in Taormina Mare between Capo Taormina and the Baia di Mazzaró. Access to the beach is via a stairway, from where you have a fantastic view of the magical bay. It's a great place to enjoy the uniqueness of Isola Bella. The beach of Isola Bella in Taormina consists of rough sand with tiny stones. From Isola Bella's beach you can take a small boat excursion to Grotta Azzurra and explore the coastal area of Taormina. Also located on Isola Bella is the famous diving school called the Nike Diving Center. The water quality is very good in the well-protected bay of Isola Bella. Getting to the apartments is very simple: if you come from Calabria or other regions, once you take the ferry, take the A18 Messina-Catania highway toward Catania, and exit at Giarre.